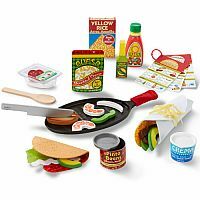 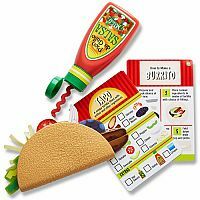 Create your favorite tacos, fajitas, burritos and more with the Fill and Fold Taco Tortilla Set. 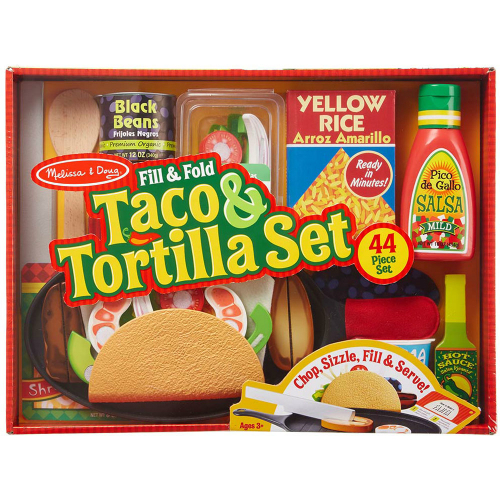 Choose your favorite ingredients, pretend to grill them on the skillet, then fill a felt tortilla or taco shell. 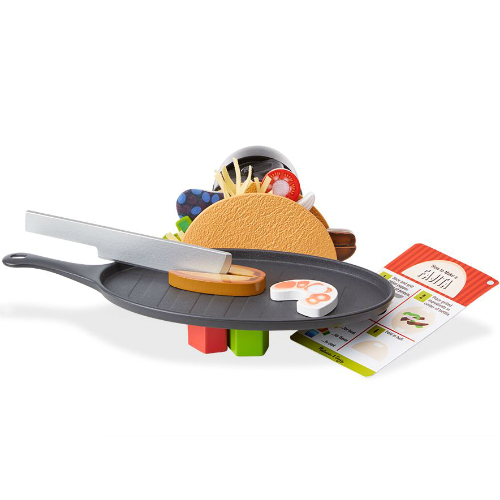 Serve with a choice of play toppings. This delicious 42 piece set has an array of foods to fill imaginations. Realistic slice-able wooden ingredients, plus all the extras, like salsa, hot sauce, beans and rice. 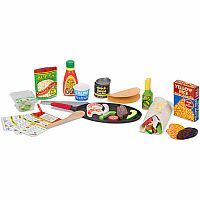 Measures approximately: 16.00 x 12.00 x 3.50 inches..